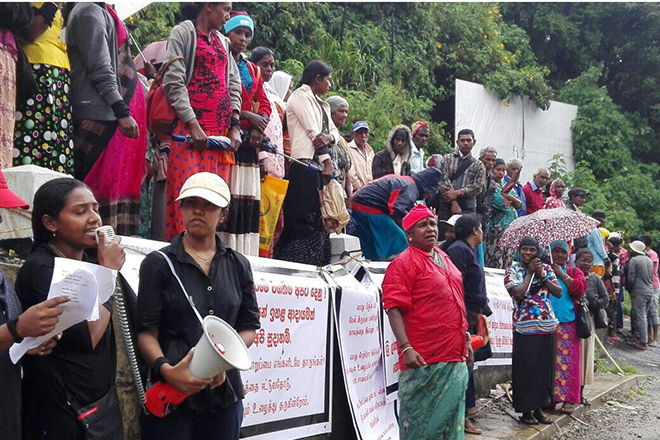 Lankan Plantation Workers’ Strike Continues For the 5th Day! Estate plantation workers all over the hill country have still engaged in a strike demanding Rs. 1000 daily wage, despite the betrayal of major trade unions. Lankan plantation workers began an indefinite strike on 5th December, demanding a proper daily wage, their collective demand is Rs. 1000. Workers of estate plantations demanded Rs. 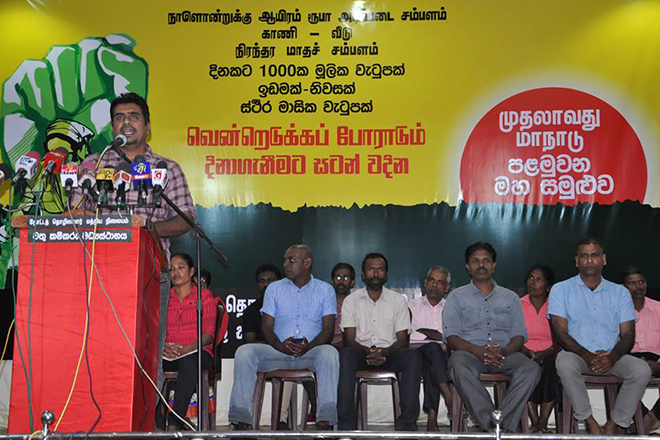 1000 daily wage during former president Rajapaksha’s time, which was supported by major unions who were supportive of government. 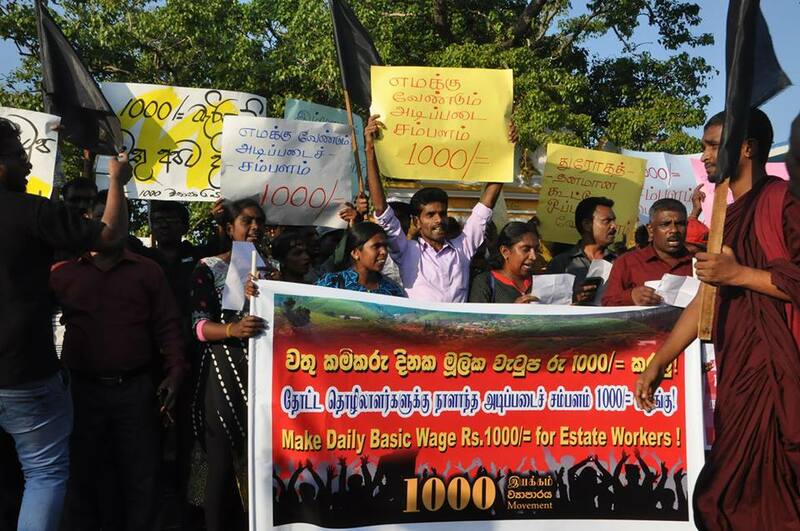 Then the coalition of Ranil Wikramasinghe and Maithripala Sirisena who challenged Rajapaksha regime at presidential electon in 2015 promised a Rs 1000 daily wage for the estate workers. 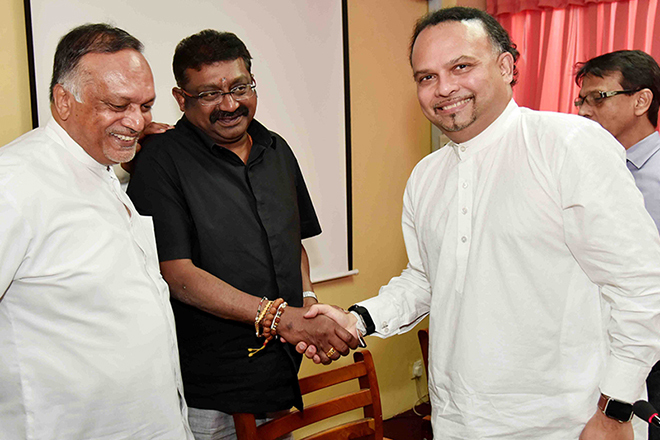 After defeating Rajapaksha, the major union leaders also supported to form a Ranil-Maithri joint government in the election held at August 2015. But they betrayed worker support and never implemented Rs. 1000 daily wage during the 3 1/2 year governance. 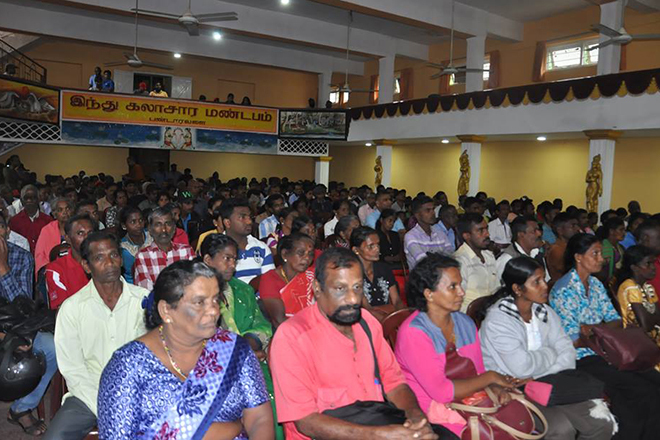 Workers from the districts where most Lanka’s tea plantation exist, Nuwara-Eliya, Badulla, Kandy, Kegalla, Ratnapura and Kalutara and Colombo, are participating. On November 26th, the worker unions called a walk out, insisting on their longstanding demand, a proper solution for the problem of poor payment. Plantation workers, among the most oppressed sections of the island’s working class, currently work for a mere Rs. 500 ($US2.80) per day. However, worker unions such as Ceylon Workers Congress (CWC) led by Arumugam Thondaman, wanted to compromise with the company managements on Tuesday but the employers flatly rejected doubling the basic wage. Members of rival unions, including the National Union of Workers (NUW), Democratic People’s Front (DPF) and Up-country People’s Front (UPF), joined the strike, defying their leaders’ calls not to support it. In demonstrations organised independently of the unions, workers chanted slogans against the Regional Plantation Companies (RPC) and the government. This struggle by workers will compound the political crisis of the ruling elite, which is wracked by bitter factional rivalry and facing mounting social opposition. When President Maithripala Sirisena unconstitutionally sacked Ranil Wickremesinghe as prime minister and replaced him with former President Mahinda Rajapakse on October 26, CWC leader Thondaman joined Rajapakse’s administration. 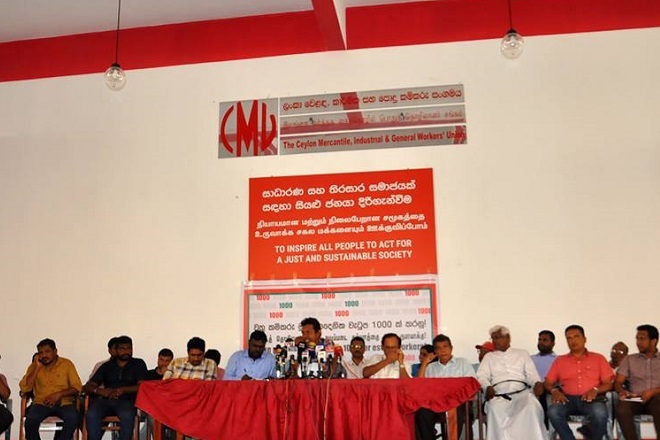 Thondaman who is responsible of joint government’s betraying the promises given to workers in 2015, justified his action by citing Rajapakse’s utterly bogus promise to increase the daily wage to 1,000 rupees.